The Hollywood Reporter has learned today that 20th Century Fox has snapped up the rights to adapt visual novel Fall of Gods – in the wake of its overly successful Kickstarter campaign, no less – and that Wes Ball is attached to helm the film. 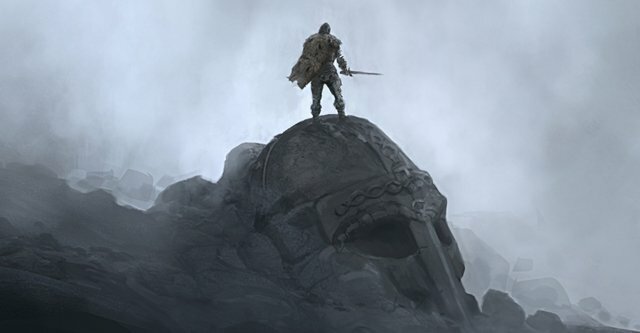 Billed as a stylized twist on Norse mythology, the crowdfunded project managed to raise $96,000 across its campaign, and this naturally attracted the attention of Hollywood studios. Having directed the first two installments of The Maze Runner franchise for Fox, Ball is a natural fit for the project, and the director has, at least in the 2013 original, displayed an astute method of balancing CG-laden visuals while respecting the source material. Fall of Gods is a different kettle of fish, though. Over on the official Kickstarter page, the creative team behind the project illustrate its grand and mythic scope, and here’s the official description to give you a taster of what to expect. The gods have long ago vanished. In their place, two rivaling races now inhabit Midgard; humans and jotnar. Fifteen years ago, a coalition of chieftains drove the jotnar race from Midgard. Now, from each side of the border, humans and jotnar eye each other with hatred and suspicion. When his wife, the estranged daughter of one of Midgard’s most powerful chieftains, is mysteriously kidnapped, a retired warrior takes up the hatchet and sets out to rescue her. But he risks unleashing the wild demon buried deep within him and losing his soul in the process. His journey will bring him into conflict with terrible forces as a cynical plot is revealed and the dark mythological past of the North begins to awaken once more. Joe Hartwick Jr., Steve Tzirlin and Brooklyn Weaver will all produce for Fox, and though there’s no word yet for a Fall of Gods release date, Wes Ball’s latest, Maze Runner: The Scorch Trials, is set to sprint into theaters on September 18.